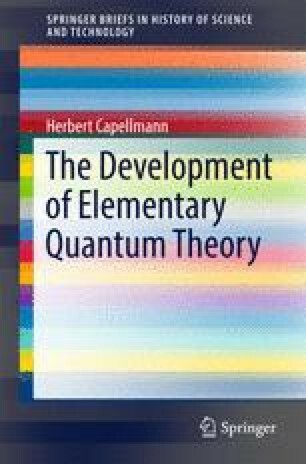 This chapter contains discussions of orthodox accounts of the development of Quantum Mechanics. The classical books by Max Jammer (1966) and B. L. van der Waerden (1967) represent the Copenhagen point of view; the multi-volume work of Jagdish Mehra and Helmut Rechenberg (1982) is similar in general conclusion. The essential differences to the conclusions reached in the present account are illustrated.